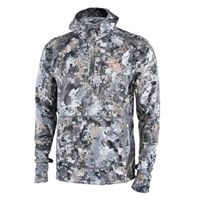 Bean Outdoors - Great Gear, Great Prices Firearms, Archery, & Hunting Supplies! ---2019 Ravins in stock and shipping--Ask about our bundle specials! ---Waterfowl Gear Coming Soon featuring Drake and Banded Gear! Ask about our Specials! ---2019 Sitka Gear Coming Soon---Ask about our upcoming events! ---2019 TightSpot Quiver has been released!-Ask about our specials! ---Garmin Xero A1 and A1i in stock!- Ask about our specials! ---We are now carrying Fishing Supplies featuring St. Croix, Shimano, Lew's, and most other brands. As we update the site ask us about our current specials! Subscribe to the Bean Outdoors Email Newsletter!